When Should My Child Learn to Swim? Swimming lessons aren’t just a way to fill up the extramural calendar; they’re important for your child to learn a life-saving skill. So when is the best time to start? 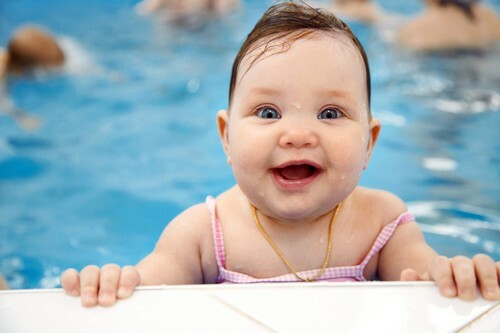 According to the American Academy of Paediatrics (AAP), as early as your baby’s first birthday can be the optimum time for signing up to swim lessons. Of course, not all children develop at the same rate, so the AAP recommends that at least before the age of four you should have your child enrolled. “A parent’s decision about starting swim lessons or water-survival skills training at an early age must be individualised on the basis of the child’s frequency of exposure to water, emotional maturity, physical and cognitive limitations, and health concerns related to swimming pools,” says the AAP in a statement on drowning prevention. While the one-years-old recommendation certainly seems like an enthusiastically early start, the AAP does note that there’s no apparent benefit (apart from a great sensory experience and bonding opportunity) to starting the lessons any sooner—although infant introduction to the water can help reduce any fear of the unfamiliar when it comes time for proper practice. The key part of the AAP’s anti-drowning campaign is that parents should be cognisant that swimming lessons don’t actually act as a 100% safety net against drowning; adult supervision is imperative, whether it be in your own home, on vacation, or at a friend’s home. That being said, swimming lessons aren’t renowned for their affordability. One way to make them more budget-friendly is to find out if your local pool has discounted lessons. Alternatively, lessons can be a great birthday gift—so suggest the idea to your friends and family.